Michael Jackson is one of the greatest artists of all time, if not THE greatest. Before his untimely death in 2009, MJ was on the verge of a huge comeback with his This Is It tour. Unfortunately, we never got to see it all come to fruition, and we were only left with two posthumous albums following his passing. Today, we take a look at Michael's discography, starting from his younger Jackson 5 solo beginnings all the way up to the final posthumous album released in 2014. MJ was a true legend and his discography completely showcases that. Let's get into it. -After the immense success of the Jackson 5, Michael tried his hand at solo work and his first project would be a truly interesting one. Armed with a few covers from Carole King and Bill Withers, as well as a few original songs if you will, Michael burst into the world of solo artistry with a vengeance. 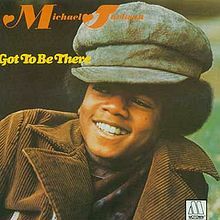 The title track is one of the best songs Michael had ever sang at that point and the soulful sounds of "Wanna Be Where You Are" are truly infectious and reign as something special even in current time. 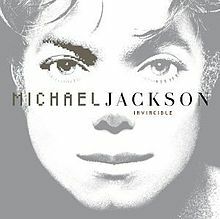 A solid album for sure during this era and a very good debut solo wise for the legendary MJ. -Titled after the sequel to Willard, Michael would once again stick to the formula of covers with a few original songs mostly handled by other producers outside of Motown's infamous Corporation. The title track would be the biggest single off this album, as Michael, still in adolescence, spoke about having a rat that was a friend. 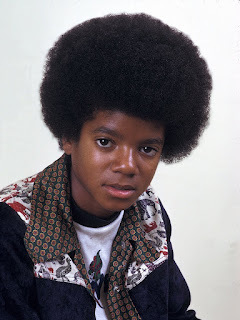 The song would be a big hit and the album was successful as well, but much like his debut, we never really to got see much of Michael the artist yet, but merely just young Michael the singer. As fans, I think we saw Michael hitting his teenage years and wondered what progression or changes would come for him. Would we find out soon? -Not just yet. While Michael was growing and going through slight voice changes, the music remained in the innocent child's image, something that limits the authenticity of the feel of the music in some ways. However, this was still a solid project yet again, as Michael and his vocal capabilities are truly unmatched. He shines brightly on this album there as you can hear a bit of growth in his voice and his strength. Still, there was a feeling that we weren't able to see the full creativity that Michael possessed. Regardless, this album is still an enjoyable listen and a smooth soulful display before the beginning of what was the disco era essentially. -This album represents the end of an era for Michael. 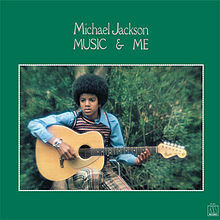 It started around the maturation period and while the album isn't necessarily anything special, and it didn't do much commercially upon release, Michael still maintained his streak of solid releases, but once again, the need to hear the perspective of a growing Michael and his own lyricism was strong. 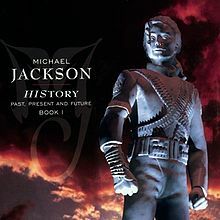 This album features solid vocals and showcases the change in Michael's positioning as an artist, but it would be Michael's last solo album for 4 years. -This is where MJ officially became the powerhouse he is known as. Quincy Jones. Rod Temperton. Michael himself. This album was created during the edge of the disco era and man this is one hell of an album. A classic. It still blows my mind to this day how great this album is, and I'd personally it's Michael's best album or at least tied for first. From the sounds of "I Can't Help It", to "Rock With You", to the Paul McCartney assisted "Girlfriend", to my personal favorite song from the album "Get On The Floor", this album has everything a Michael Jackson fan needs and more. 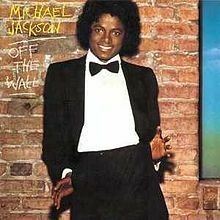 Off The Wall is honestly what I'd consider one of the greatest albums of all time, more so than the album he followed it up with. I'll get to that in a second, but there's nothing but greatness on this album. It is the maturation of Michael we were waiting on and it sounded nothing short of classic. -Of course. The highest selling album of all time. Regarded by most as the greatest album of all time. And to be completely honest with you, though this is a classic and features some of Michael's biggest hits, it is his third best album to me personally. Honestly, it still is one of the best albums ever, which essentially showcases how strong MJ's discography and catalog is. My personal favorite song on this album is "The Lady In My Life", as the smooth sounds and Michael's vocals combine for something amazing. One of the most underrated songs on this classic album remains "Baby Be Mine", which is one of my favorites as well. Thriller is without a doubt a classic and stands as Michael's biggest contribution to the world of music. The video for the title track is iconic, as is the performance he had for Billie Jean at Motown 25. Everything about this album is groundbreaking and game changing. -Honestly? This is my personal favorite album from Michael. 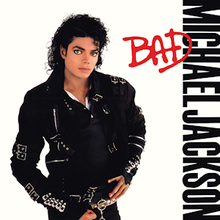 Bad doesn't get the credit it really deserves and I think Michael outdid himself with this album. He wrote a good amount of songs, experimented with a newer sound, and changed everything about his image with this album. Michael's ability to be a chameleon through his career and adapt to the eras is unmatched and this album is a classic that shows him at his most raw and aggressive even. The title track is his most aggressive, the production here even borders on strong and aggressive as well, not to mention, one of his greatest and most inspirational songs "Man in the Mirror" is featured on this album. The outtakes from this album are even amazing. 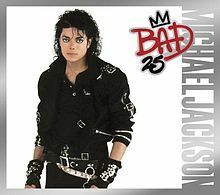 Go check out the Bad 25th Anniversary Edition and enjoy the tracks previously unheard like "Streetwalker", "Fly Away", and more. It's a shame those weren't on the album originally. Bad is essentially the most well rounded album from Michael. 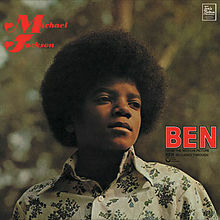 -When talking Michael albums, this one gets overlooked. Of course, as Michael's skin got lighter, his albums got slept on. This album remains a favorite of mine and in a lot of ways, it is a true classic, as its replay value has only increased seemingly over the years. 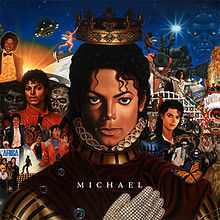 The New Jack Swing sound of the album once again shows Michael evolving as an artist and on tracks like "Jam", "Who Is It", "Remember The Time", and "Give In to Me", Michael goes off vocally and makes nothing but classics. He hints at some different sounds and more worldly topics via "Heal The World", "Will You Be There", and "Black or White", a direction he would take his next album after becoming disgruntled with the world and the industry it seemed. 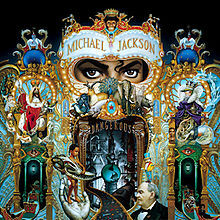 Dangerous is a great album and deserves a bit more credit for being a daring yet true to MJ form album. -A double disc that featured his greatest hits on one disc and all new songs on the other. The second disc was full of Michael shooting back at tabloids, the media, addressing climate problems, focusing his attention on social issues, and much more. This album felt more like Michael speaking from his heart and mind instead of just mixing that with his creativity. This album was definitely a daring and risky album and that's why it was marketed as such with a greatest hits disc to help mask the risk that was being taken by Michael here. Songs such as "Earth Song", "D.S. ", "They Don't Care About Us", and "Tabloid Junkie" don't necessarily scream out radio hit, but Michael managed to make them work. 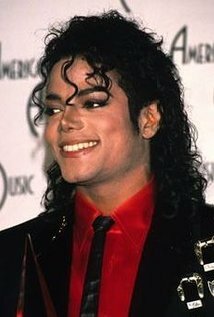 The biggest hit from this album, the R. Kelly penned and produced "You Are Not Alone", was huge for Michael at the time and helped fix his image which had taken a beating by the press. Michael never recovered fully image wise, but his music fit perfect for the time and with rap verses from Biggie and Shaq as guest appearances, Michael went into an unexpected direction seemingly with his music, and presented a tougher side of himself. While not a classic, this album is the true evolution of Michael, not only as an artist, but as a man. -Another slept on album of his, that hits the mark more than it misses. Peagle discussed this album in detail previously, and he definitely spoke volumes about how Michael's return to music was in between a return to glory and searching for a new sound. 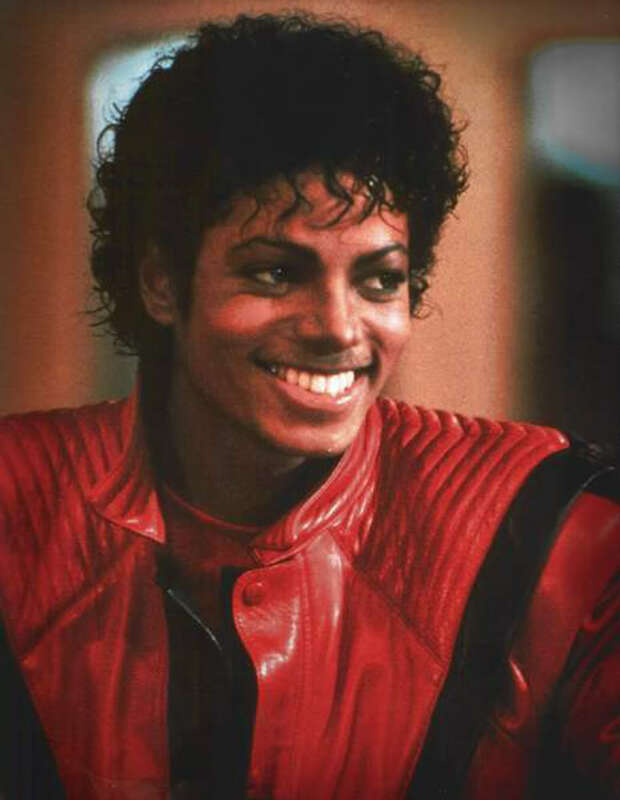 Michael always managed to keep up with what was current or hot at the time and this album saw him put a more R&B tinge to his sound as evidenced on "Heaven Can Wait" and the mega hit "Butterflies". It was the most pure R&B music we had heard from Michael in years and years, so it was welcomed with open arms. We also began to see a slight crack in the soft voiced Michael as a deeper singing voice was revealed throughout this album. Once again, Michael began a path of evolving. 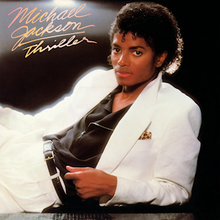 This album set a tone and though it would be the last album Michael released before his death, you could tell he was searching for the next sound throughout this album. -His first posthumous album and this was poorly put together. The less said about it the better. The vocals were obviously unfinished and the production was spotty throughout. Michael would not have wanted the world to hear a ton of outtakes and unfinished songs put out to the public. I'm sure they could have waited on this album, and figured out a better way to release songs, but with his death, the label wanted to cash in even more. Unfortunately, this didn't work. -After failing terribly with the first posthumous album, they entrusted Timbaland to help spearhead this one in particular. The results were much better than before and the album is a very enjoyable listen. Michael's vocals sound crisp like we like them and the songs in general sound great, and they provide us with the original version as well the newer produced ones by Timbaland. It works. 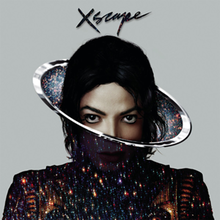 I suspect this won't be the last MJ album however that we hear. I didn't include Blood On The Dance Floor, the This Is It soundtrack, his various greatest hits albums, or the countless attempts that Motown used to cash in on his fame after he left them, but regardless, MJ has one of the best discographies in music history. His run of albums during the 80's and some of the 90's are truly unmatched. It is a reason why he's the GOAT and this just proves it.